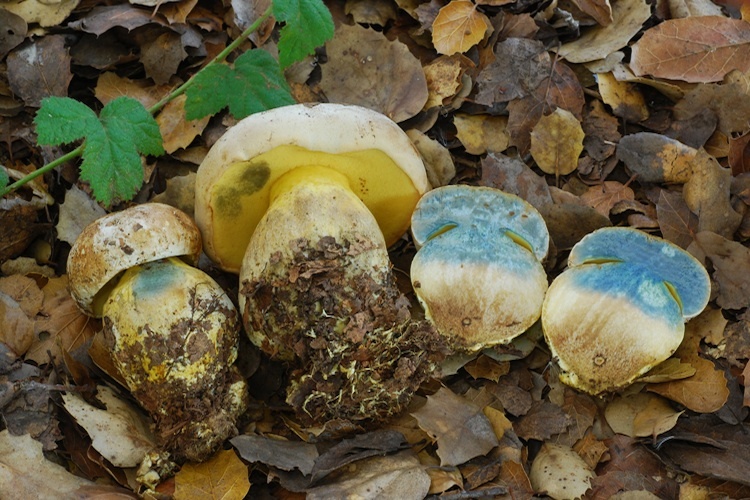 Caloboletus is a genus of boletes largely distinguished by their bitter taste (due to the presence of compounds called calopins). In our area most species produce relatively robust, dull-colored mushrooms. All are ectomycorrhzial. Relatively few species occur in California, and the single species in our area is well-characterized. Important identification characters include the pale grayish-tan cap, whitish flesh, absence of a true reticulum on the stipe, and most importantly, the bitter taste (although some people apparently cannot detect this).